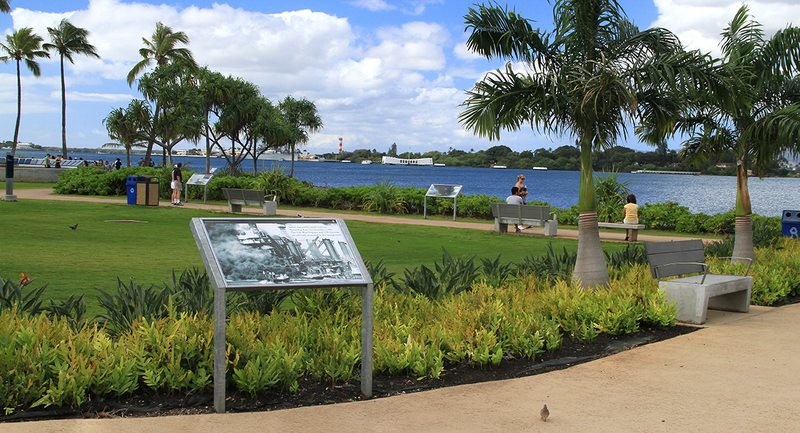 The USS Arizona memorial and Visitor Center in Pearl Harbor are the most popular visitor attractions in Honolulu, solemn recognition of the resting place of thousands of sailors, Marines and civilians. 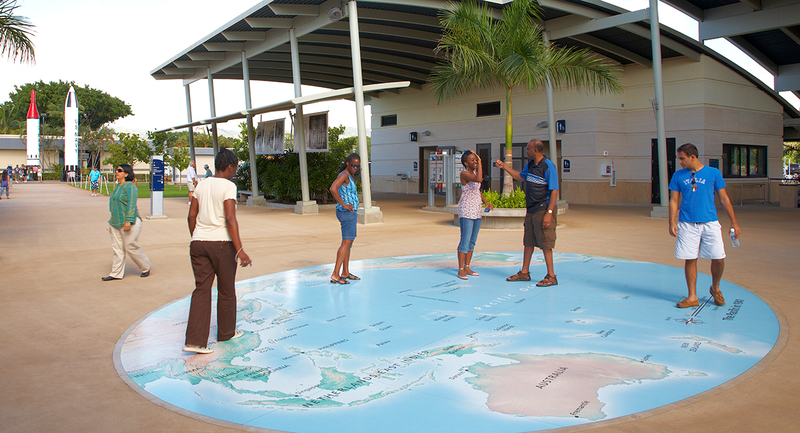 The new museum and visitor center campus can now accommodate the 4–5,000 daily visitors. 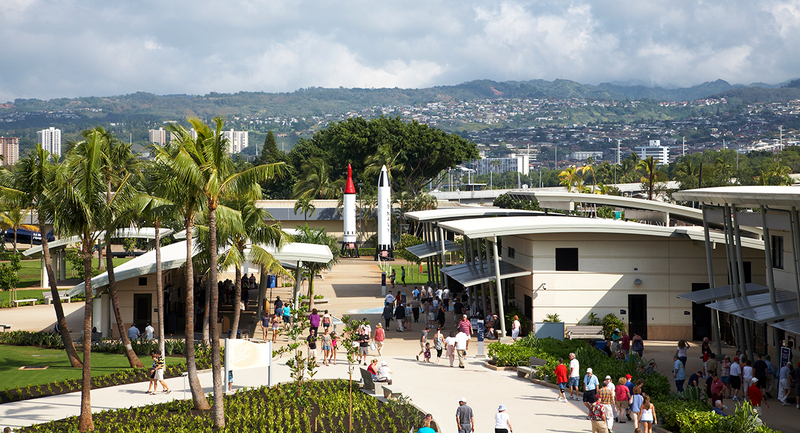 It doubles the areas for visitor gathering, allows generous spaces for memorial ceremonies, offers new museum exhibits, renovates the theaters for the film presentation, improves visitor amenities, and provides new offices for National Park Service staff. 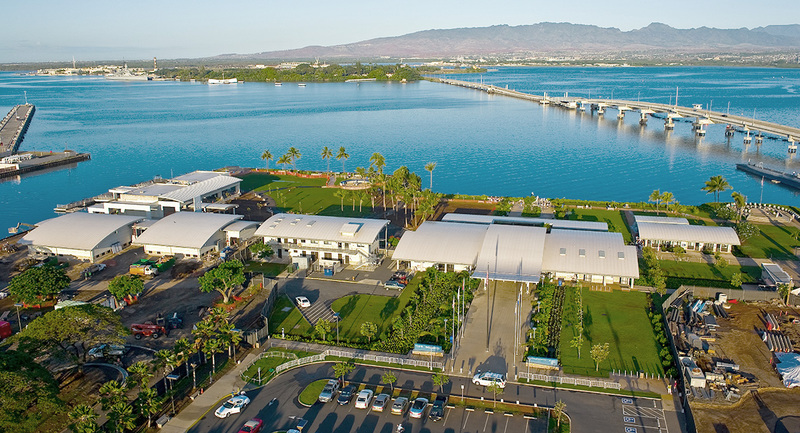 Working with the National Park Service, U.S. Navy and Pacific Historic Parks, our comprehensive design services resulted in a unified campus, with open buildings and pavilions that provide a constant focus on the floating memorial (reached only by boat where it floats above the USS Arizona). The buildings are predominately open-air, cooled by natural ventilation as a result of their orientation to the trade winds. The project incorporates extensive sustainable design features, recycled and recyclable materials, and energy-efficient equipment and fixtures, leading to LEED Gold certification.